Game description: Gundam: Mobile Suit Saga is the first role-playing game entry into the long-standing Gundam franchise. Thirty-nine different suits are at your disposal to compete against more than 300 different enemies. Customization of characters and suits gives players the ability to control each aspect of their suits, each of which features up to 60 different parts. 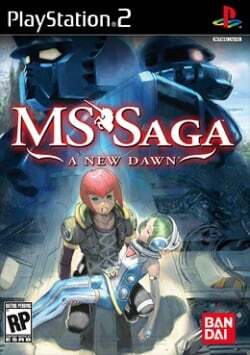 A role-playing game for the PlayStation 2 console based on the Gundam franchise. The game was designed to be accessible to a general audience unfamiliar with Gundam. The "MS" in the title refers to the iconic Mobile Suit that features in the series. This page was last edited on 16 April 2019, at 12:35.